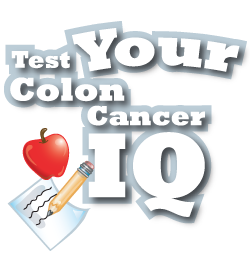 Stop Colon Cancer NowSearch hundreds of outpatient surgery centers to schedule a colonoscopy near you. American Cancer SocietyInformation and resources for patients, loved ones, caregivers, professionals and more. 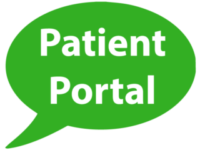 American Gastroenterological Association Patient CenterPatient information on procedures, diet and GI conditions. American Society for Gastroinestinal Endoscopy: Patient InformationWatch patient educational videos and read brochures in English and Spanish. American College of GastroenterologyRepresenting more than 10,000 digestive health specialists, ACG provides unbiased, up-to-date information for patients and the public. Colon Cancer AllianceConnect with the advocacy organization’s 37,000 members, call their helpline or get involved. Cancer CareFree, professional support services for anyone affected by cancer. Colorectal Cancer Association of CanadaCanadian non-profit dedicated to increasing awareness, supporting patients and advocacy. Crohn’s & MeAn online community for people whose lives are affected by Crohn’s disease – patients, friends and family. The Wellness CommunityConnect with others who know what you’re going through as a cancer patient or caregiver. Colon Cancer Channel-Health DiariesThe Colon Cancer Channel is part of the Health Diaries network, which publishes blogs, articles and news on health and fitness topics. Blog For a CureBlog For a Cure works to give cancer patients a place to publish their struggles, fears, questions and concerns – and a community to support them. RedToeNail.orgA community of members, who are either cancer patients or caregivers to cancer patients, creates all of the site’s content. Cancer Action NetworkAmerican Cancer Society’s advocacy arm works to make cancer issues a national priority. Fight Colorectal CancerFight Colorectal Cancer is a nonprofit advocacy organization that fights colorectal cancer through research, empowerment and access. World Gastroenterology OrganisationA non-profit federation of 109 national societies and representing over 50,000 individual members worldwide. Stand Up To CancerGet involved, watch the TV special, read SU2C Magazine and more. Cancer.NetOncologist-approved cancer information from the American Society of Clinical Oncology. National Foundation for Cancer ResearchNFCR funds anticancer research to investigate the root causes of cancer in order to understand how to stop it. Prevent Cancer FoundationFind which cancers are most preventable — and how to reduce your risk through screening and lifestyle choices. National Institutes of HealthNIH scientists investigate ways to prevent disease as well as the causes, treatments, and even cures for common and rare diseases. American Board of Internal MedicineThe ABIM strives to enhance the quality of health care by certifying internists and subspecialists who demonstrate the knowledge, skills and attitudes essential for excellent patient care. American College of PhysiciansThe ACP is a national organization of physicians who specialize in the prevention, detection and treatment of illnesses in adults. American Gastroenterological AssociationThe AGA is dedicated to advancing the science and practice of gastroenterology. The AGA’s 16,500 members include physicians and scientists who research, diagnose and treat disorders of the gastrointestinal tract and liver. American Medical AssociationThe AMA helps doctors help patients by uniting physicians nationwide to work on the most important professional and public health issues. American Society for Gastrointestinal EndoscopyASGE promotes the highest standards for endoscopic training and practice, fosters research, recognizes distinguished contributions to the field of endoscopy, and is the foremost resource for endoscopic education. Crohn’s and Colitis Foundation of AmericaA non-profit, volunteer-driven organization dedicated to finding a cure for Chrohn’s disease and ulcerative colitis. National Institute of Diabetes and Digestive and Kidney DiseasesLearn about conferences, grants, health education, research and more.